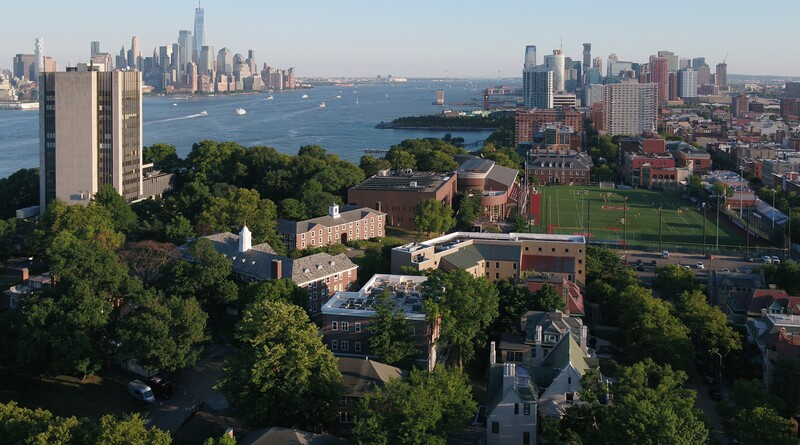 In its pursuit of innovative ways to expand and redefine entrepreneurial education, Stevens Institute of Technology has announced the establishment of an entrepreneurial co-op program to encourage and support entrepreneurial thinking and experience within the student body. Recognizing that many undergraduates have already started their own companies, the entrepreneurial co-op offers the chance for Stevens students to use their own company as their cooperative education experience. Available only to undergraduate students, the newly-established co-op is maintained and operated through the Stevens I&E Venture Center and follows the same six-month cycle of a traditional Stevens co-op. One of the crown jewels of a Stevens education, cooperative education weaves together scholarly and practical experiences, providing students with a unique set of skills that opens up a diverse array of professional opportunities upon graduation. Currently in a pilot phase, the entrepreneurial co-op may include three options for qualifying students. The first is a standard co-op in which employers compensate students at the market rate for their industry. Another is the Student Venture Co-op where students develop their own venture through the Stevens I&E Venture Center, on a full-time basis over a six-month period while partnering with a Center faculty advisor and coaches. The third is the I&E Venture Scholar Co-op Program in which eligible students are selected for the I&E Venture Award by the Stevens I&E Office in a competition every spring. Students who are interested in an entrepreneurial co-op must submit an application and meet eligibility criteria, which include a minimum GPA of 2.5 and full-time enrollment in each of the two terms prior to their scheduled co-op cycle. They are also strongly encouraged to discuss the possibility of an entrepreneurial co-op with their co-op coordinator at least five to six months prior to the scheduled co-op cycle. The program provides a limited number of subsidies to selected startups each six-month co-op cycle. Additionally, selected students will have an opportunity to obtain funding for six-month, full-time, compensated co-op positions to start their own companies. Notably, Stevens will have no claim or equity in anything the students create, setting the program apart from the typical startup accelerator. The entrepreneurial co-op underscores the importance of entrepreneurial thinking at Stevens, a core principle of the university since its founding by America’s “first family of inventors.” This legacy of connecting technological innovation with enterprise has been a hallmark of a Stevens education, and is reflected in the school’s undergraduate curriculum: Stevens is among just a handful of universities requiring engineering students to take an introductory course in entrepreneurship. Additionally, faculty-guided senior design projects, culminating in the school’s annual Innovation Expo, reinforce the importance of applying academic studies to solve real-world problems. Christos Christodoulatos, vice provost for innovation and entrepreneurship, describes the program as an investment in Stevens students and one that serves a vital mission of modern universities. Supporting entrepreneurship, he says, from the birth of an idea to commercialization is critical to the role American universities play in nurturing students to become relevant in the global marketplace. “Teaching students how to transfer an idea to the marketplace to satisfy a societal need should be and must be part of higher education,” says Christodoulatos. For more information, please contact the Office of Innovation & Entrepreneurship.